When veterinary professionals are evaluated for negligence, standard of care is the benchmark used to assess veterinary competence. Dr. Lacroix provides an in-depth review of this critical topic. When legally evaluating professional negligence, standard of care is the benchmark used to assess veterinary competence. This standard is reached by veterinarians performing their duties with the same degree of skill, care, and diligence as exercised by colleagues practicing under similar circumstances. Unfortunately, this general rule is not always helpful when determining whether a veterinarian has been professionally negligent. Two areas of law primarily regulate veterinary conduct and help ensure that veterinary professionals act prudently and reasonably when treating animals and interacting with clients. The civil court system adjudicates client claims regarding alleged negligent conduct. The state board of examiners, an administrative office charged with enforcing each state’s veterinary practice act and regulations, sets forth laws regarding both obtaining and maintaining veterinary licenses. When complaints are filed, veterinarians can receive distressing letters from the state board of examiners and/or attorneys representing disgruntled clients. The initial reaction to respond impulsively is not in the veterinarian’s best interests. Recent graduates are especially vulnerable because they have limited experience and often lack confidence when reacting to such allegations. How veterinarians respond can have a significant impact on the outcome of the case; therefore, it is important to clearly understand how state boards and courts adjudicate allegations. In legal terms, standard of care is the level of care at which an ordinary, prudent professional having the same training and experience in good standing in a same or similar community would practice under the same or similar circumstances. In medical terms, standard of care is a set of guidelines that define the appropriate diagnostic and treatment process for a particular health issue; these guidelines ensure that patients receive a similar level of care among clinicians. Review medical records to corroborate events. In Dr. Steel’s case (see Martinique: Misdiagnosis to Malpractice), because documentation was poor, the case comes down to Dr. Steel’s word against Ms. Bridges’. Dr. Steel will have difficulty claiming he provided adequate information to Ms. Bridges as there is no indication of this conversation in the medical record. Since Dr. Steel has a legal obligation to maintain complete medical records—as dictated by state board regulations—neglecting to do so implies he may also be a careless medical care provider. Continuing to use Dr. Steel’s case as an example, upon receiving the letter from Ms. Bridges’ attorney, Dr. Steel should immediately contact his professional liability insurance carrier. However, if Dr. Steel suspected Ms. Bridges was likely to pursue legal action prior to receiving legal notice, he should have contacted his insurance carrier at that point. Insurance carriers differ in how they handle negligence actions, but typically require the defendant to complete a form describing the circumstances leading to the complaint. Then, claims representatives review the facts, recommend a course of action, and may assign an attorney to the case if the complaint cannot be settled quickly. For example, if Ms. Bridges rejected a settlement, an attorney would be assigned to defend Dr. Steel since, upon review, his care appeared to be substandard. Regarding the state board investigation and allegations, Dr. Steel likely will need to defend his conduct at his own expense because professional liability insurance carriers generally do not provide coverage for state board actions (an exception is the AVMA-PLIT, which offers a limited policy that insures against state board actions). He could respond on his own, but may put his professional career at risk by neglecting to obtain legal advice, including an attorney’s review of the response he submits to the state board. Make note of these conversations in the medical record. This information would help Dr. Steel determine whether he acted within the standard of care for Martinique. Dr. Steel should not underestimate the time and effort required to address all the issues—in an organized and articulate manner—in the complaint. Disorganized or incomplete responses often lead to further board investigation rather than early dismissal. Ms. Bridges brought Martinique, a female iguana, to Dr. Steel, a small animal practitioner who, as a member of the Association of Avian Veterinarians, considers himself knowledgeable about exotic animals. Upon presentation, Martinique had not eaten for 2 weeks. After a physical examination, Dr. Steel made a diagnosis of egg binding, a common condition in birds and reptiles. Without advising Ms. Bridges of his limited experience with reptiles, or offering referral to a more experienced colleague, Dr. Steel obtained Ms. Bridges’ consent to perform surgery. He had completed many avian spay surgeries (hysterectomies) to treat egg binding, and performed the same procedure on Martinique, removing shell glands but not the ovaries. Martinique’s recovery was uneventful; home care included 3 weeks of antibiotics and hand feeding. The following spring, Martinique became anorectic again as well as lethargic, with a markedly swollen abdomen. Ms. Bridges presented the iguana to a new veterinarian, Dr. Halley, an exotics specialist with expertise in treating reptiles, birds, and pocket pets. However, Dr. Halley explained that reptiles are not like birds and must have their ovaries removed; otherwise, they may represent with the same clinical signs due to the presence of ovulated eggs in the coelomic cavity. Dr. Halley also suspected that, upon initial presentation to Dr. Steel, Martinique was most likely pregnant, not egg bound. Dr. Halley explained the above information to Ms. Bridges, and informed her that Martinique would need a second surgery (ovariosalpingectomy). Ms. Bridges was understandably frustrated because she realized if Martinique had previously received the correct treatment, she would not need to undergo further surgery. Ms. Bridges asked Dr. Halley to discount her fees; while sympathetic, Dr. Halley explained that she would not be able to do so. Ms. Bridges decided to take Martinique home, but later that night, the iguana exhibited weakness, mouth breathing, and unresponsiveness to touch. Ms. Bridges rushed her pet to an emergency clinic, but Martinique died after emergency exploratory surgery. Failed to maintain appropriate medical records. Correspondence from Ms. Bridges’ attorney alleged malpractice and demanded $100,000 in damages for economic and emotional distress. Clients often resort to litigation and/or state board action when they believe their veterinarians acted negligently or failed to respond appropriately. Clients with complaints are often angry and need to vent. Demonstrate that you consider the matter serious by taking notes during the conversation. Do not interrupt the client; interruptions only create more frustration and will likely interfere with a clear understanding of the facts. Avoid becoming defensive and emotional, as this may inadvertently reinforce the client’s belief that his or her veterinarian provided inappropriate care. Remember, a client’s criticism of your actions, even when fully justified, does not necessarily mean that negligence occurred. Veterinarians often fail to adequately communicate; clients may not fully understand the diagnosis or proposed treatment, or have unrealistic expectations. Obtain informed consents, provide fee estimates, encourage questions, and review handouts with clients that explain services. Avoid medical jargon that can confuse and intimidate clients, making them reluctant to ask important questions. Clients whose pets have died are often emotionally distraught and may seek to place blame. By comforting a client who has lost his or her pet, you are likely to defuse the perception that someone should be held accountable for the pet’s death. Recommend grief counseling for clients who appear to have difficulty coping with their loss. Several veterinary schools have grief hotlines (see Veterinary University Grief Hotlines). Staff members can help defuse client complaints. Teach them the principles described above. The veterinary team should remain professional at all times and avoid “offensive–defensive” discussions with clients. These actions could compromise the case if a lawsuit is filed. Do not agree to any settlement offered without first contacting your insurance carriers and attorneys; otherwise, your agreement may be interpreted as an admission of fault. It may be appropriate to reduce the client’s bill to amicably and expeditiously resolve a dispute without admitting liability. 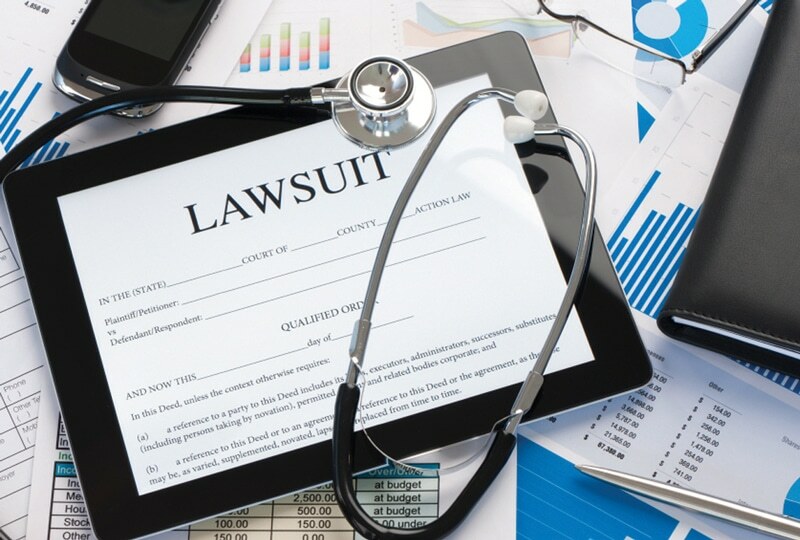 Whether Dr. Steel was negligent in failing to provide referral to a more experienced veterinarian, perform the correct surgery, and maintain proper medical records are all critical issues.Courts decide negligence on a case-by-case basis, but veterinarians must be aware of the elements of a cause of action for negligence as they proceed with a defense of their actions. Veterinarians can be found negligent even if they did not intend to cause harm; they can also be found negligent even if their colleagues would have acted in the same manner Judges can determine that the entire industry is at fault if it is in the public’s best interest. Duty of Care: The client must demonstrate that the veterinarian “owed” services of a certain standard. Courts almost always find that veterinarians providing services have assumed the legal duty to take reasonable care. In our scenario, Dr. Steel clearly owed Ms. Bridges, and her pet, reasonable care. Breach of Standard of Care: This breach occurs when veterinarians fail to act with the level of skill and knowledge commonly possessed by members of the profession who are in good standing. Ms. Bridges can most likely prove breach of duty if her attorney can demonstrate that veterinarians routinely remove ovaries when spaying iguanas. Conversely, Dr. Steel can attempt to demonstrate that most general practitioners do not remove the ovaries and those patients recover uneventfully. Expert witnesses can be hired to testify about specific standards of care. Proximate Cause: The client must prove that the veterinarian’s failure to provide services within the standard of care “proximately” or “closely” caused the harm suffered by the client. If the harm suffered is not a result of the veterinarian’s actions or omission of actions, the veterinarian should not be held responsible. If Ms. Bridges was suing Dr. Steel because Martinique died of renal failure a month after the spay procedure, the case would be much harder to prove. Damages: Clients must establish that they suffered harm resulting from the veterinarian’s negligence. Animals are considered property under the law and, therefore, most state courts do not recognize loss of companionship. Harm is usually considered in the form of economic loss, resulting in malpractice awards that typically only cover the animal’s fair market value, costs incurred for veterinary care, and loss of income or profits from the animal’s loss of use. An increasing number of states are considering awards for noneconomic damages, though, which will likely increase standard of care scrutiny and the number of lawsuits filed against veterinarians. Regularly consult with staff, colleagues, and insurance carriers to identify preventive measures and new developments in the legal liability field that can help avoid potential complaints. Providing high quality medicine that meets or exceeds standards of care. Charlotte Lacroix, DVM, JD, is a veterinary attorney and CEO of Veterinary Business Advisors, Inc, in Flemington, New Jersey, which provides expert business and legal advice and consultation to veterinarians and their attorneys nationwide. Dr. Lacroix lectures extensively nationally and internationally; she has also contributed to several publications and books and appeared on radio and television. Dr. Lacroix received her DVM from University of California–Davis, and completed a large animal internship at University of Guelph prior to working for several years at an equine medical and surgical referral practice. She received her JD from University of Pennsylvania, where she currently serves as an adjunct professor.